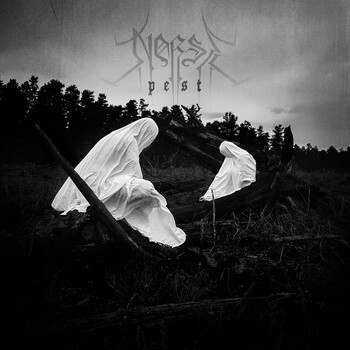 Norse, an enigma from Australia play a visceral, fiery form of mutated, unpredictable black metal with twisted and industrial affectations. The music is subliminally dissonant, whipping out stinging hooks and atmospheric dirge-laden sections hidden in places where you would least expect them to be. It is intrinsically different, adding multiple surreal layers to your reality, and yet seeming coherent, serving a higher purpose. Norse have concocted an elegant album that is extremely pensive, charged with an electrifying atmosphere, and following a pattern that’s hard to imitate. Every riff is meticulously composed, and more importantly, placed. Every single vibration is deadly. Music that’s supposed to be no longer ‘original’ turns the very genre of black metal inside out. Transcending Obscurity Records slips out this highly overlooked recent game-changer for maximum aural propagation. Slither, twitch, die.